Digging into the ancient text helps us know the answer. Crawling under the wings of God takes effort on our part. We have to put ourselves there. But how do we do that? How do we trust God when our lives are falling apart? How do we trust Him when the diagnosis is grim, the bank account is empty, or pain is our constant companion? Other people’s testimonies have inspired me to keep on keepin’ on. Hearing their testimonies inspire me to have one. I could do things my way or God’s. I could be mad at Him or trust that He is always good. I could demand my way or wait. I could quit or keep on believing. The refuge I find doesn’t change my circumstances, but it does fill me with peace. And peace in this world, my friends, is a miracle. Peace in the midst of turmoil doesn’t make sense. That’s when you know it’s from the One whose feathers cover you. It makes me want to snuggle closer to His chest. My ear next to His heart. Warm, dry, safe. His breathing rhythmic. His heartbeat soothing. 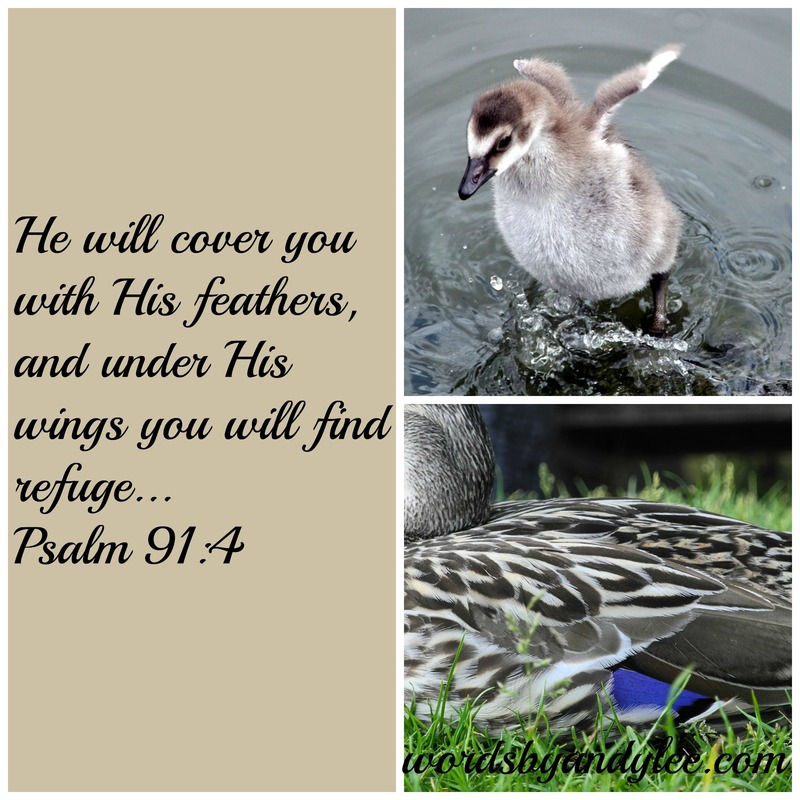 Knowing what it means to “find refuge” in God will not only help me in my life, it will help me know how to pray Psalm 91 for those I love. 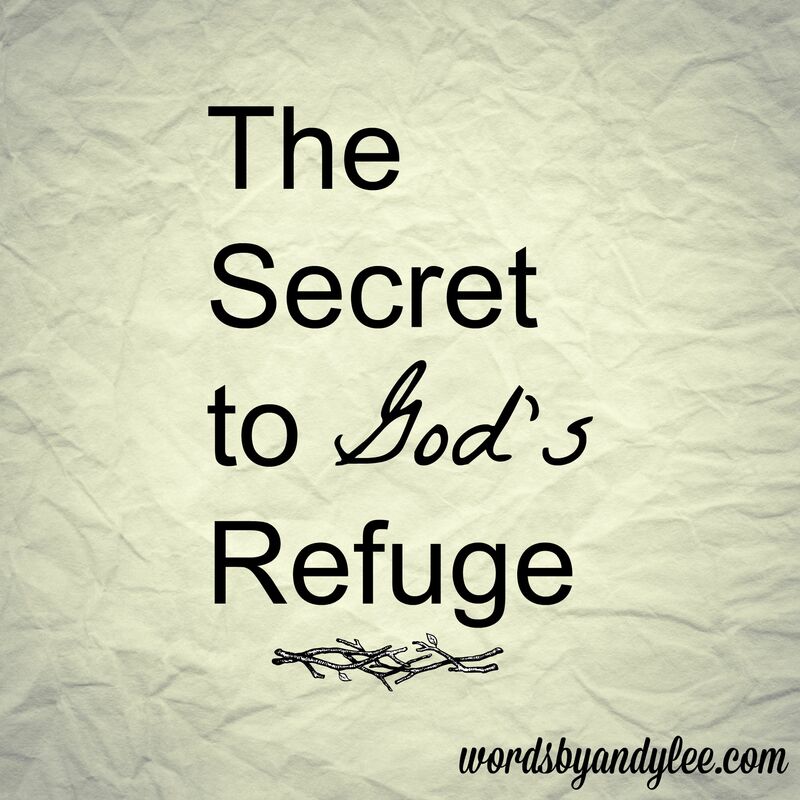 God’s refuge is found only in this powerful five letter word–trust. “Father-God, life is hard. Scary. Desperate. Lonely. But you are here. You are always present. You are always good. Help us choose to trust your goodness in our messy lives. Change our brain if need be. If we can’t trust anyone, enable us to trust you and find your peaceful refuge. We love you. Thank you Jesus. Amen. Do you think finding His refuge and peace can be this simple? Share your testimony to encourage others. You introduced me to this PS. Mom and I love it. Thank U Andy. I love it too, Kim. 🙂 You are welcome! Give your mom a hug for me.